Things are falling apart in the Richardson household. Angry arguments between Celine and her husband, Keith, have become routine. She resents that he's working long hours and staying out all night, and he accuses her of not giving him the attention he deserves. Their marriage is at a crossroads, and Celine worries how her 10-year-old daughter, Kassie, will be affected. But the situation turns devastating when Celine is diagnosed with breast cancer. Three siblings, Sydney, Gina, and Rick, each have full lives, complex relationships, and serious personal problems. But when their mother suffers a debilitating stroke, her need for extensive care forces them to examine the strength of the bonds between them. A Blackboard best-selling author, Roby tackles several contemporary issues in this moving novel, including marital violence and childhood abuse. Pretty pictures hide ugly secrets. Denise and Derrek Shaw are the perfect American couple. Happily married for 15 years, they have a wonderful daughter, Mackenzie, successful careers, and a beautiful house in a posh Chicago suburb. They are attractive, respected...and hiding a shocking secret: a dangerous addiction to drugs. It started innocently enough. Denise occasionally used prescription drugs to help her deal with the long hours and demanding nature of her job. Derrek, also under pressure at work, began using cocaine socially with some of his colleagues. As her job becomes more stressful, Denise can no longer get through the day without a fix. Derrek realizes his harmless habit has become anything but, and desperately wants to get clean. However, his attempts are derailed when there is a sudden family tragedy. Once soul mates, now this husband and wife are quickly losing the immense love that had been the cornerstone of their marriage. With her parents spiraling out of control, Mackenzie makes an unexpected move to take matters into her own hands. Is her sacrifice too late - or is there still hope? Is there a final chance to save the Shaw family? 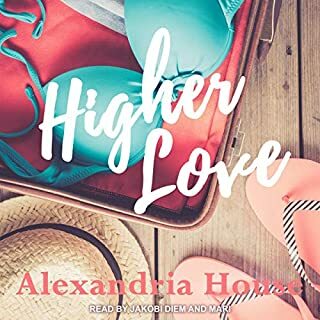 Where does The Perfect Marriage rank among all the audiobooks you’ve listened to so far? 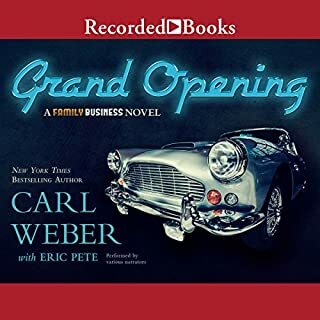 This is the first audiobook I've listened to in awhile, and it is the best one I've heard so far. I like the realism of the characters, and the way she brings drug addiction to the light..the seemingly good, and the consequences. Which character – as performed by Shay Moore – was your favorite? Denise is my favorite character...it disappoints me when she gets hooked on cocaine. Not yet, as a child whose parents struggled with addiction, I could relate to the characters, especially the daughter. 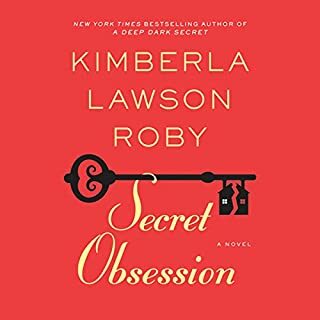 I hope that I am able to get all of Kimberla Lawson Roby's books on audio. I am never disapointed by anything that Kimberla. If you could sum up The Perfect Marriage in three words, what would they be? This book kept me going. I went to shock to anger to sorrow, back to anger and shock all over again.. then finally i was relieved.. wonderful book!! The Denial. so many folks have these problems but just dont own up to them. What about Shay Moore’s performance did you like? Shay is wonderful. I think i've heard other books from her! She left nothing to be misunderstood. Love Love Love her! 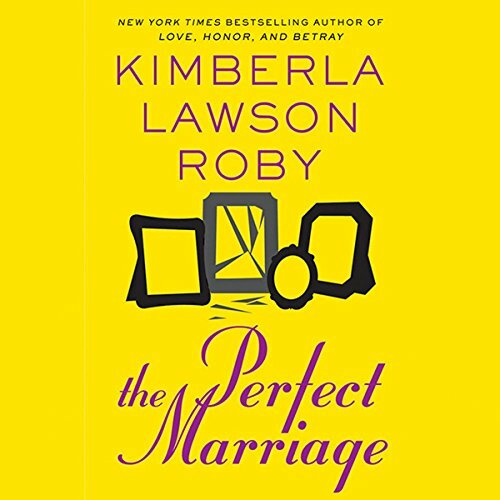 Would you consider the audio edition of The Perfect Marriage to be better than the print version? I haven't read the print version but I imagine doing so would have allowed my to fill in the blanks regarding what the characters may sound like. I liked that the story was very descriptive about the family and their background, which helped the audience to understand how they became dependent on certain substances. I also liked that this seemed very realistic; I am sure there are many "functioning" addicts in the world who need help. Denise - mainly because the voice fit her since the narrator is a woman. I think she also did well with Mackenzie and relatively well with Derrek, although it was annoying at times when she tried to deepen her voice to sound like a man. Nonetheless, I liked her reading voice and thought she maintained a good rhythm. If you could rename The Perfect Marriage, what would you call it? Would you listen to The Perfect Marriage again? Why? I wouldn't listen to it again, there was few things surprising or thrilling about the story line. For the most part I could tell what was going to happen before it happened. And for me I always enjoy a good plot that has me gasping with disbelief at some point. Would you recommend The Perfect Marriage to your friends? Why or why not? Sure, it was an okay book. but I kind of expected more from this author. The narrators performance was pretty good, she had good rhythm and flow. and her voice was not monotone which is always good. Who was the most memorable character of The Perfect Marriage and why? There really weren't any, all of the characters kind of were equally, there wasn't one that was especially bad or deliciously good. A Good Story Idea, badly written. What disappointed you about The Perfect Marriage? 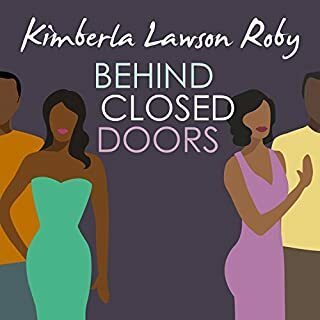 What could Kimberla Lawson Roby have done to make this a more enjoyable book for you? characters lives were too simple. There was nothing about them to grab your attention , make you want them to succeed or fail. Just add more substance and not rush the endingPut more though into the ending it was poorly executed. Would you be willing to try another one of Shay Moore’s performances? YES, that was the best part of the story. Great Job Shay Moore. What character would you cut from The Perfect Marriage? In a better written story line they could all have a place. 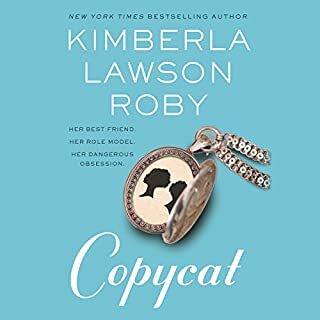 My book Club loves Kimberly books, she is a great author. unfortunately this one was not her best. I look forward to reading her next book. a different story line. the story dragged on too long about nonsense and never really came together for me. any book not by Kimberla. What didn’t you like about Shay Moore’s performance? her voice was very monotone. If you could play editor, what scene or scenes would you have cut from The Perfect Marriage? all the scenes about the behind the scenes details of their jobs. The story was not creative at all. Very basic storyline. Would you ever listen to anything by Kimberla Lawson Roby again? The different voices she used were distracting and exaggerated, kind of like she was narrating a children's book. Really, don't waste your money on this. It is not a good use of time. Great and eye opening story of a marriage that crumbles due to drug use! Family background can dictate how your life will end up as..
What would have made The Perfect Marriage better? WRITING: I think that more refined writing skills are missing here; poor character development, less mechanical-more natural dialogue, better story telling, etc.,. Writing is a craft; this "novel" has the painful punch of a juvenile attempt. The sentence structure and word choices are awkward and obtuse. The character dialogue is tedious; unnatural and burdened with minutiae. This author need s a GREAT deal more training. None by this author. This was a painful listen; wrought with poorly written material and equally disappointing delivery. NARRATION: Better verbal acting, more natural character voices and less mechanical delivery; sounds like a random person reading to 1st graders. The poorly written material is degraded even more by poor narration. I think that the topic was noble but muddled by the author's skill deficits. Again - writing is a craft not a project; one needs to have an honest eye and the willingness to resist the urge to publish when the product is not at the right level.